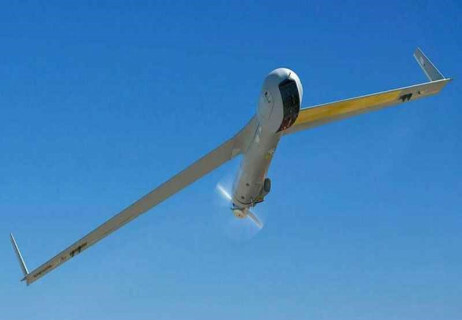 The ScanEagle surveillance unmanned aircraft system has enhanced the capabilities of U.S. Coast Guard helicopters and ships while providing safety for those manned assets, according to Boeing's Insitu business unit, the contractor for the ScanEagle. "The ScanEagle maximizes the effectiveness of the National Security Cutter fleet," Ron Tremain, a senior business executive with Insitu and a retired Coast Guard helicopter pilot, told R&WI in an interview at the Surface Navy Association symposium on Jan. 16. The USCGC Stratton (WMSL-752) National Security Cutter has had the ScanEagle since 2016 under a $12.3 million contract in June of that year from Naval Air Systems Command, and the Coast Guard will likely outfit another three to four NSCs by the end of 2019, the first of which is likely between April and June this year, said Tremain. The boats to receive the ScanEagle include the USCGC James (WMSL-754), the USCGC Munro (WMSL-755), and the USCGC Bertholf (WMSL-750). That outfitting will come through a contract potentially worth $117 million awarded by the Coast Guard last June to Insitu. Under the contract, ScanEagle is to provide small unmanned aircraft systems (sUAS) ISR services aboard the Coast Guard's fleet of 11 National Security Cutters. The contract covers installation and deployment of sUAS for 200 hours per 30-day operational patrol period, Insitu said. ScanEagle is to conduct surveillance, detection, classification and identification operations and "support prosecution by providing real-time imagery, data, target illumination, communications relay and other capabilities to the fleet and other government platforms as needed," the company said. The ScanEagle's quiet operation and the video capabilities provided by the visual detection and ranging system mean ScanEagle can spy on an area covertly before calling on Coast Guard cutters and helicopters to swoop in, an approach that's far different from the past when narcotics smugglers "could drop the drugs in the water" when they heard Coast Guard assets approaching, Tremain said.